The TG Litter has been set-up on request by the EU Member States under the MSFD Common Implementation Strategy. Activities are based on a mandate and work program agreed within the CIS and approved by the EU Marine Directors. The group reports through the GES group. 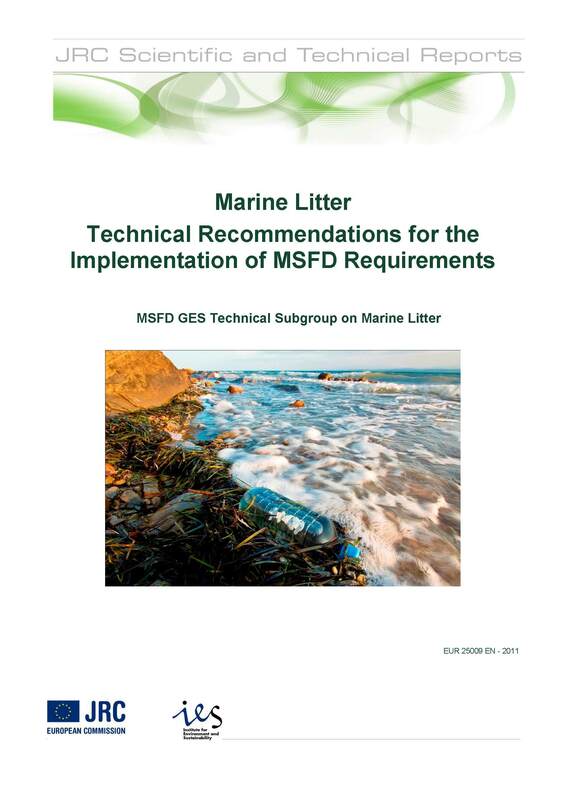 It is supporting the MSFD Descriptor 10 implementation and the EU external activities concerning marine litter. The TG Litter serves for information exchange, as discussion forum, providing guidance and advising the policy frameworks. It acts as interface between science and policy by providing two-way information exchange of research projects and scientists with EC services, Member States experts and RSC experts. It involves through the Regional Sea Conventions also non-EU policy frameworks in shared marine waters. Furthermore it supports EU global commitments, such as G7, G20 and UN activities. TG Litter members comprise EC staff from DG ENV, DG Mare, DG GROW and DG R&I. EU Member States nominated delegates, Regional Sea Convention delegates, NGO roof organization delegates and project leaders. Currently all EU coastal MS and RSCs are represented. The group is chaired by France, Germany and the EC JRC, with DG ENV providing the overall lead to the process. The TG Litter meets annually for coordination, information exchange, strategic discussions and work planning. Additional workshops and technical meetings on specific topics are organized. Within the TG Litter, an approach towards the identification of litter baselines in Europe is being developed. 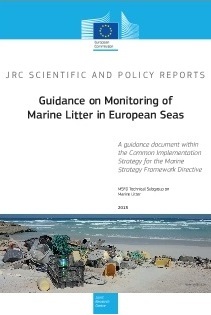 Baselines of marine litter should provide information about the state of the marine environment regarding marine litter at a given time, so that e.g. the efficiency of reduction measures can be assessed. The activity is currently reviewing the availability and comparability of beach litter data at EU scale in order to derive information that can be useful to assess litter abundance on different geographical scales and allow the derivation of trends, based on different starting dates. 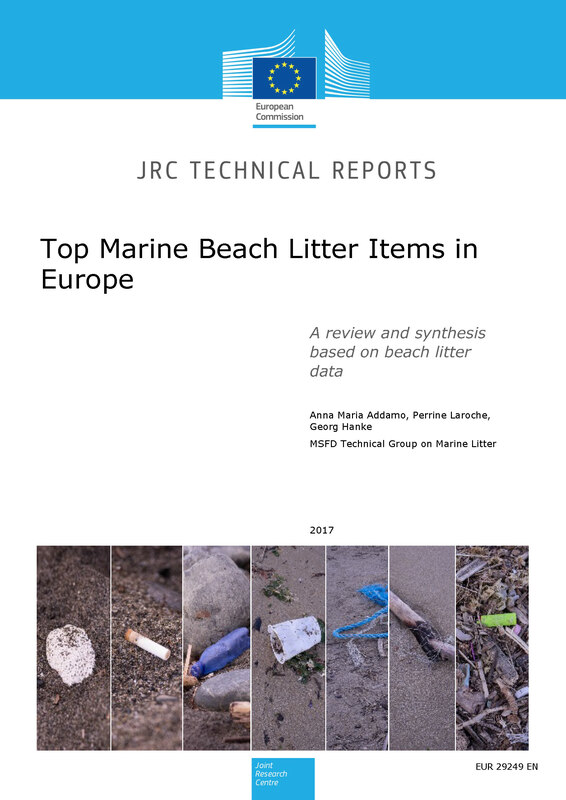 After a dedicated workshop in March 2017, beach litter data from (most) EU countries, projects and initiatives from 2012-2016 have been collected. They are being compiled into a single database for analysis of scenarios for baseline setting. Data comparability and harmonization provide a challenge. This activity has started with beach litter as this compartment provides best data coverage. 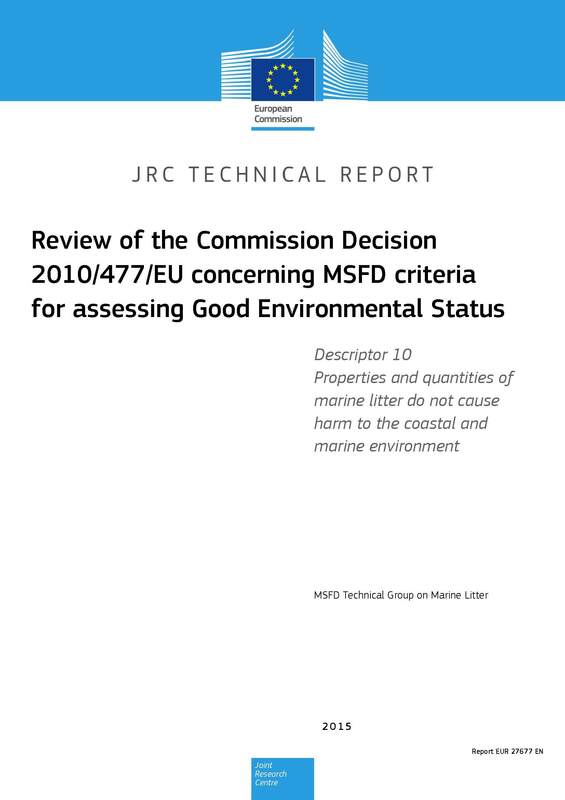 The ComDec 2017/848/EU requires the identification of appropriate threshold values for marine litter for the different MSFD D10 criteria. The TG Litter is starting the discussion in order to work towards commonly agreed approaches for setting threshold values. 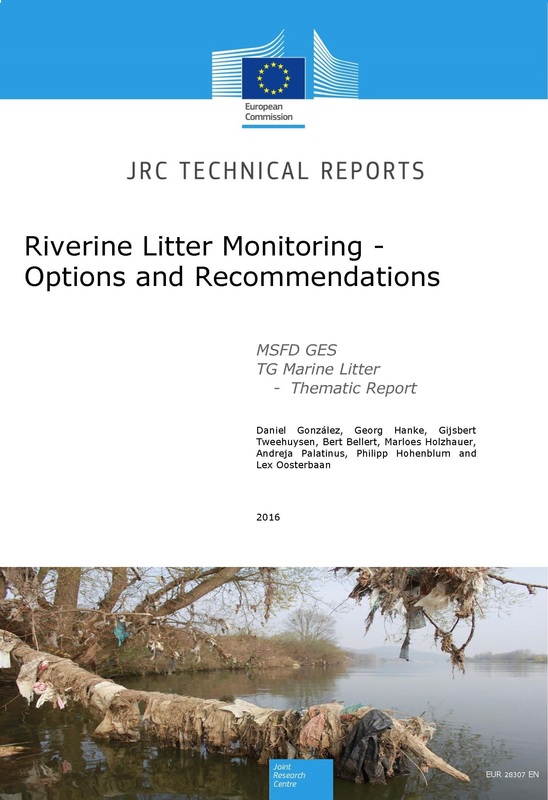 While the TG Litter Guidance on the Monitoring of Marine Litter is being widely used and has led to a considerable improvement of harmonization, further progress and research results require a review of the guidance. That review will be performed in 2017/2018 by the TG Litter, in close collaboration with Member States experts, research projects and scientific experts on specific topics. 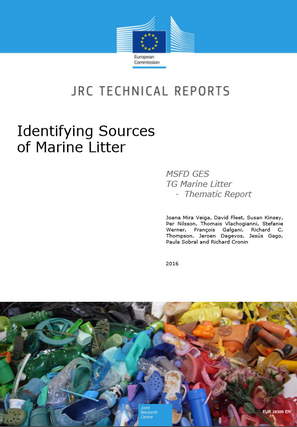 The monitoring of marine macro litter is based on its identification according to a list of commonly found items. 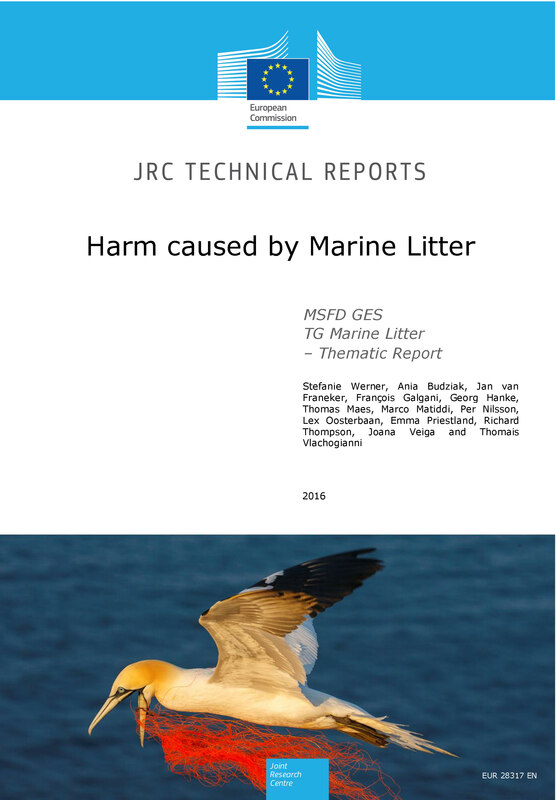 The harmonization of this list is crucial to a comparable assessment of macro litter and has been referenced in the Commission Decision 2017/848/EU. The list is currently being revised within the TG Litter, in close collaboration with Member State experts, the EEA and Regional Sea Conventions.